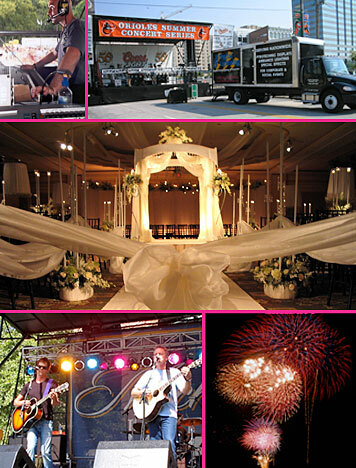 Based in the Washington, DC Metro area, Digital Lightning offers special event lighting and fireworks productions for both local and national events. Established in 1998, Digital Lightning has earned a reputation for innovative, creative lighting designs for every occasion with personal attention and the highest level of customer service. Recognized as an award-winning company, Digital Lightning has been named as "Technical Supplier of the Year" by Event Solutions Magazine, "Best Wedding Lighting" from Washingtonian Magazine, received several ISES Capital Awards, Special Events Magazine's prestigious Gala Award and the International Special Event Society Esprit Award. Every event and location is special and unique. With that in mind, Digital Lightning will perform a site survey and will custom design a lighting package to meet your needs. At Digital Lightning, every customer is our most important customer!